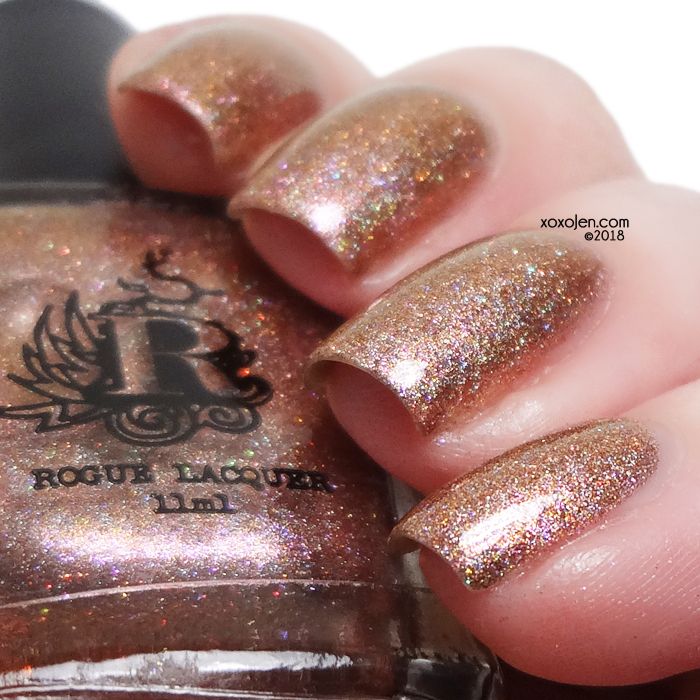 Rogue Lacquer's Grand Opening is tomorrow with a spring steam punk inspired collection! The website is open for viewing now and will be officially open 4/15 at 9pm CDT. These will also be available at Girly Bits at the same time! 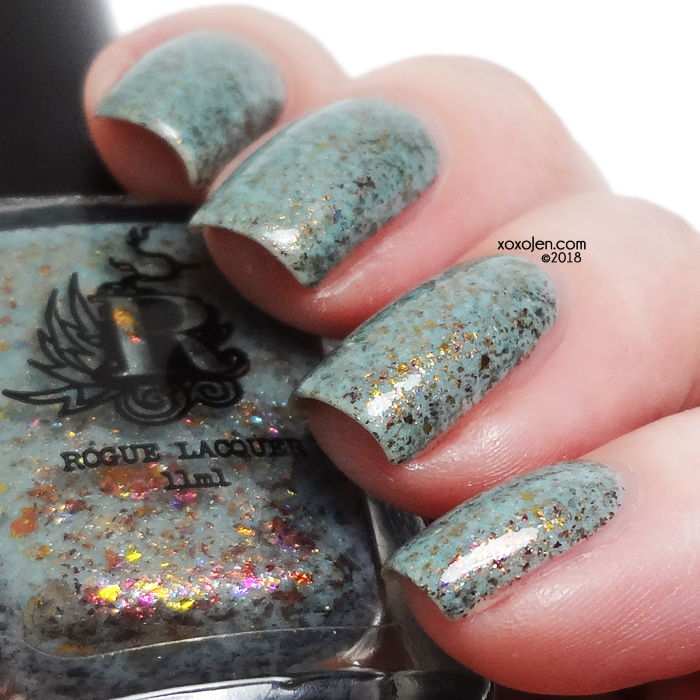 I’m excited about Rachel's new brand, the polishes, and the wax she's made. I hope you all love this collection as much as I do. Almost a one coater, but shown is two. I love how reflective this is and it does look blue-ish under varied lighting. 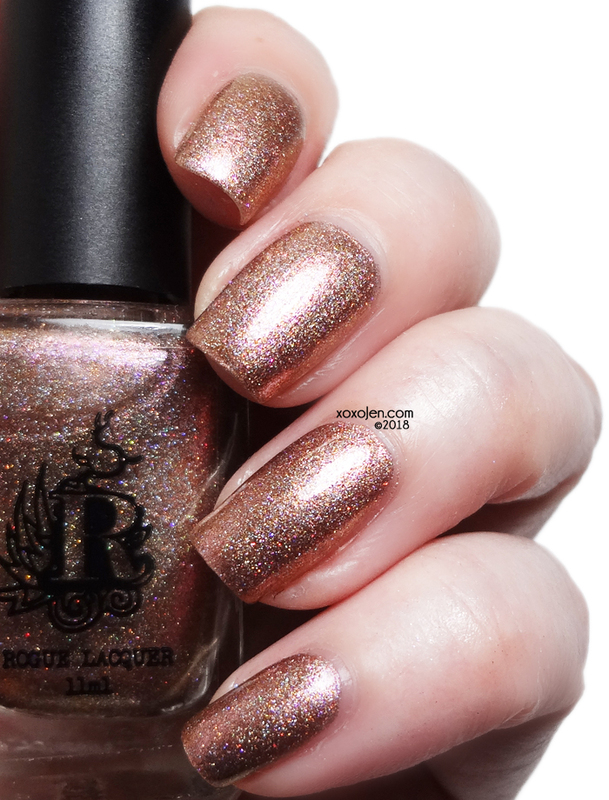 LOVE a good sparkly copper polish and those pin pricks of purpley/pink are awesome! Two coats worn with topcoat. One of Rachel's favorites of the bunch, and I can certainly see why. I love the copper flame in this! 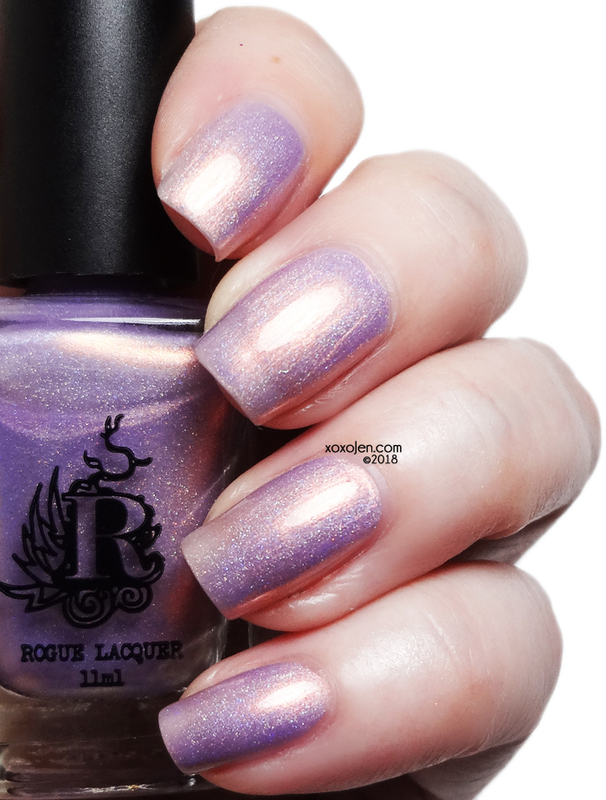 Shown is two coats, with topcoat. Rachel's other favorite, and likely my own too. I love how the flakes give this a steam punk rustic feel and a sort of copper patina style. Two coats, with topcoat. 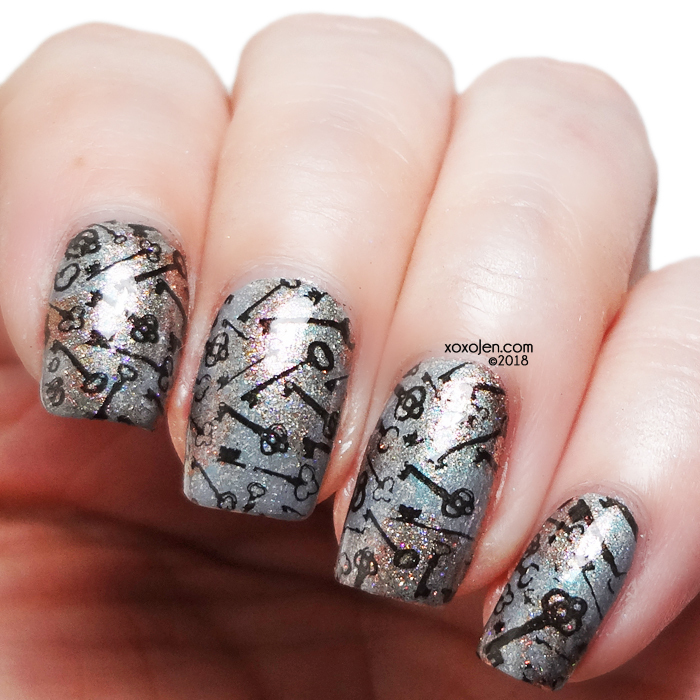 Steampunk is such an inspiring theme, that I busted out these nailart looks too! 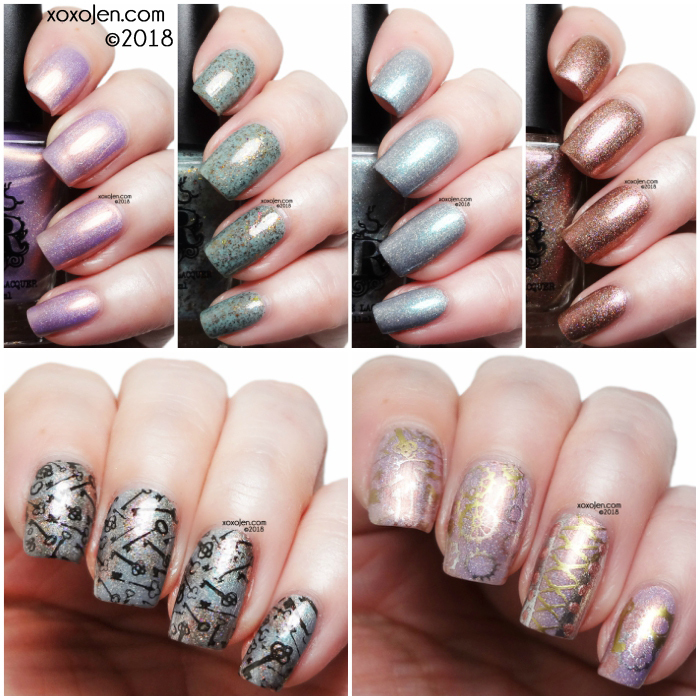 Stamped with MDU polish in gold, and Jolie stamping polishes in rose gold and silver bullet with VL plate 0028. I've enjoyed wearing and swatching these polishes, the formula for all four was fantastic and smooth. The brush is a square wide brush which is great for getting super close to the cuticle and side walls without needing much clean up. The logo is edgey and the name of her brand is based on one of her favorite superheros. What's not to like? The grand opening release is limited in stock, but will be restocked at a later date. 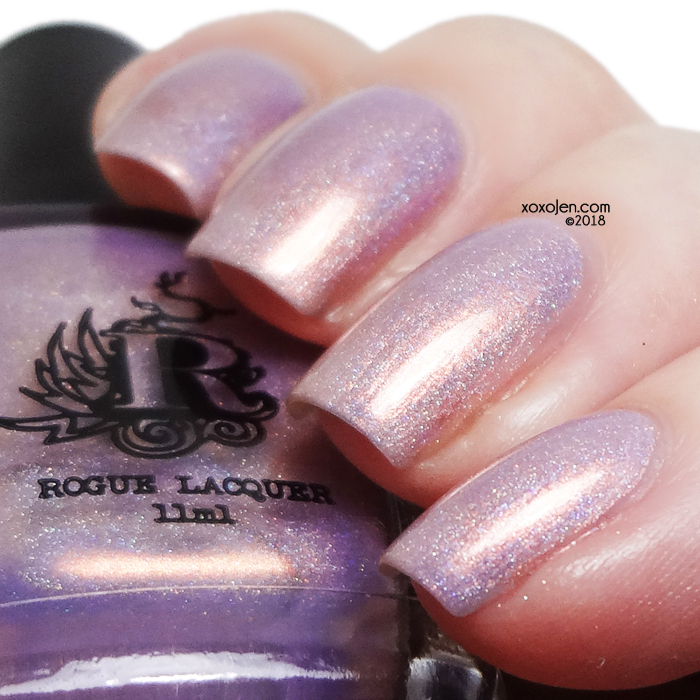 Rogue Lacquer also has a facebook group with heaps of information and photos! The nail art you did with these is awesome!